Creative Getaways is delighted to announce that it will be introducing Spain as a new painting holiday destination in January 2016. 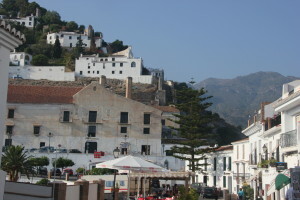 The base will be the delightful white washed Andalucía village of Frigiliana. 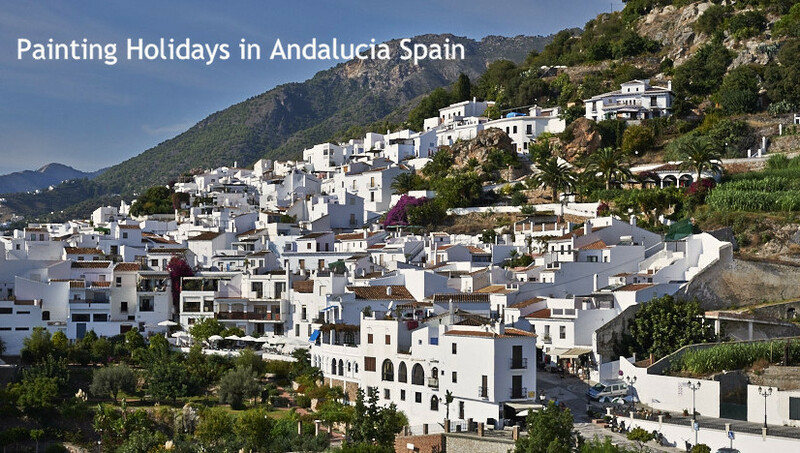 Voted the “prettiest village in Andalucía” by the Spanish Tourist Authority we are sure it will be a fabulous new edition to our painting holiday locations in Europe. 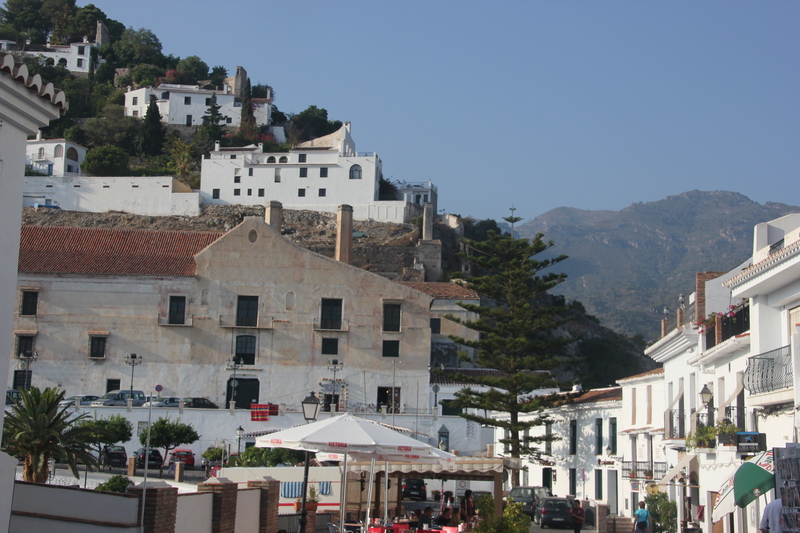 Frigiliana is an old village with a maze of narrow cobbled streets which sits high on a mountain ridge overlooking the Mediterranean with spectacular panoramic views. It is the perfect location for a painting holiday with over 320 days of sunshine each year which means it’s a perfect all year round destination! We are running our first painting holiday from 23 until 30 January 2016. Places will be limited so please book early to ensure your place on this new painting holiday in Europe. 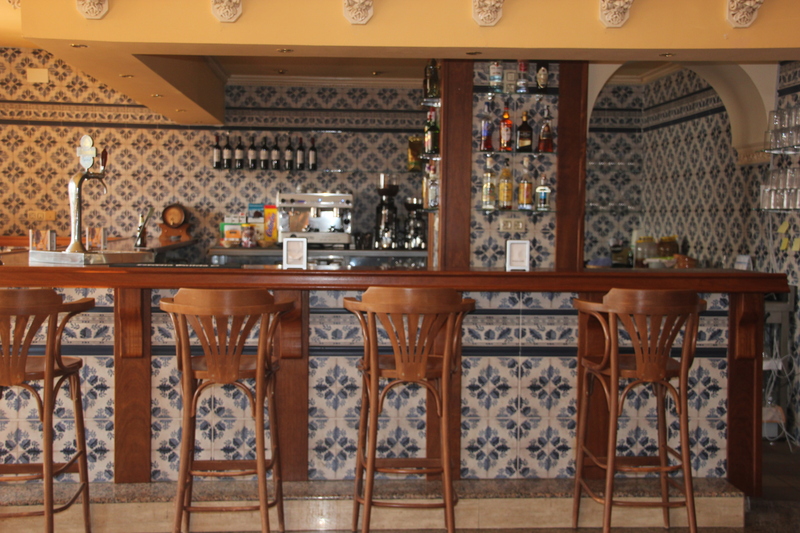 We will be based in the delightful hotel of Villa Hotel Frigiliana, a delightful white washed Moorish styled hotel close to the old village centre. It has terraces and balconies overlooking the valley and up to the mountains above the village as well as a swimming pool. 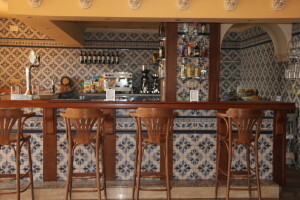 Guests will also have the option of staying in the friendly and charming small hotel Hospederia el Caravansar, hotel, five minutes’ walk away. All participants can take breakfast at Hotel Villa Frigiliana and have use of the swimming pool during the painting holiday. The painting tutor for Spain is Anna Martin who is half Spanish and half English and knows the area very well having been leading groups of artists in the area for over six years. Many of you will know Anna from our painting holidays in Turkey. Anna is an exceptional painting tutor and inspires all participants to develop their personal style and techniques. We have sought out some inspiring locations off the beaten track for our new painting holiday in Spain. Sharing delicious Mediterranean cuisine and making new friends are a very important part of all our holidays at Creative Getaways. And no more so than our painting holiday in Spain. We carefully select the best places in which to eat, from local bodegas and tapas restaurants to friendly sea food restaurants on the beach. We visit a local bodega during the holiday to taste the local wines and experience the real Andalucía off the beaten track. Stay up to date with our news and latest special offers - sign up for the newsletter now! We will not pass on your email to any third parties and you can unsubscribe at any time. Join our mailing list to receive the latest news, holiday availability and amazing artwork from our Creative Getaways! Your email is safe with us. We will not sell it and will only use it to send you occasional (and very lovely) newsletters.